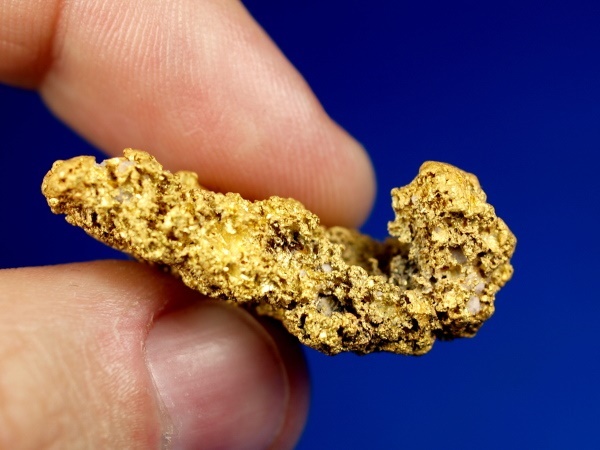 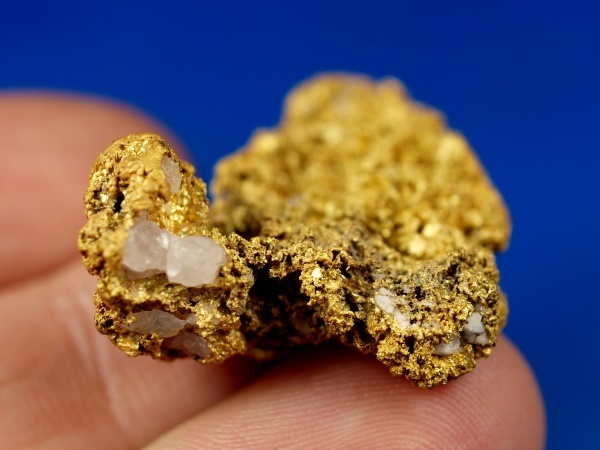 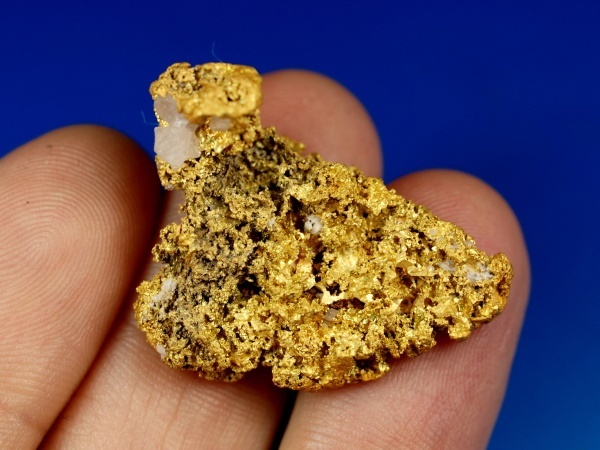 Here's a beautiful gold nugget that was found this past winter in Mohave County, Arizona. 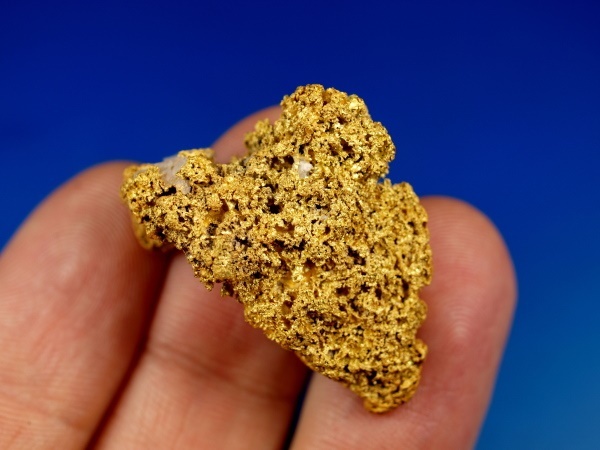 It is a nice chunky piece of gold with a rougher texture and a few small quartz crystals embedded in the side with rougher texture. 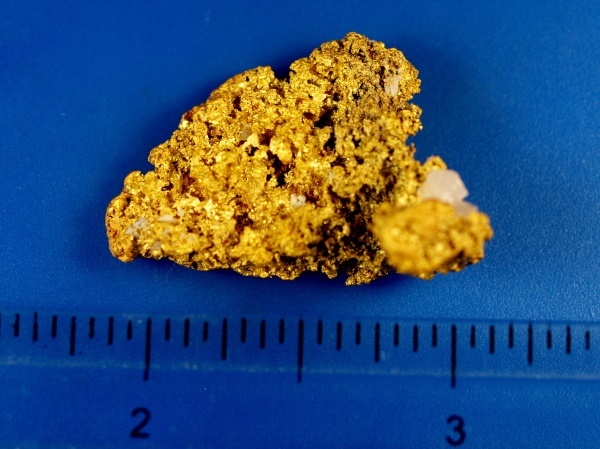 It is a beautiful piece of gold and weighs over 1/2 troy ounce at 16.88 grams.